digital-media-lab - research: Hiring Designers on LinkedIn... Yay or Nay? Hiring Designers on LinkedIn... Yay or Nay? 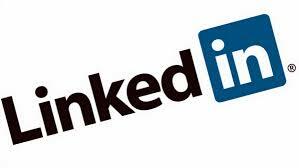 LinkedIn is a vast business social networking website with more than 225 Million users. But it is not only difficult but almost impossible to find a decent designer even with the millions of users. Why? You ask. So here it is. Every creative professional have their portfolios; it is unique and it varies from person to person, no two portfolios are alike. These are theme based and work based; they are changes depending on every project. Being creative you need to be someone different, someone not going with the crowd; so does your portfolio. Most Design students start up there website during their first year of the studies where they upload their work. It’s all about making your presence known to the society. At LinkedIn there is structural format for resumes which make all the creative designers look the same so is the cookie cut template for the portfolio. This process may work for accountants or lawyers but for a designer all the hard work in creating something different and unique is lost. There is no way it can replace digital portfolios. It is like going to a market where every shop has the same description but the contents are different. Communities like Behance and Dribble are used by some creative professionals but there is still a different aura of the personal portfolio. Ever after being a part of such communities designers still prefer having their own website and use their community profile to drive traffic to their personal website. There are even tools available to create portfolios but imagine using such widget to portray all you have worked for. Here again no designer would be able to differentiate himself from the other. If you think there is nothing that can help you think again. You should hire designers who can express themselves well. After all, if a designer cannot express themselves well, how will they express your work and site?